Stitch n Purrl: Good Golly, Miss Molly! 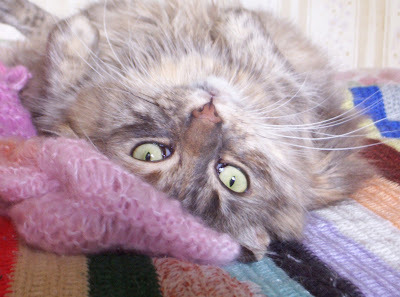 Eight years ago today, this little bundle of fluff came to live with me. A friend had kittens she was rehoming, and of course, she bought them to show me :) I took one look at Molly and knew she would the one to come live with us. She was one of the most relaxed, laid back kittens I have ever met. The picture above was taken after she was dropped off at my place. 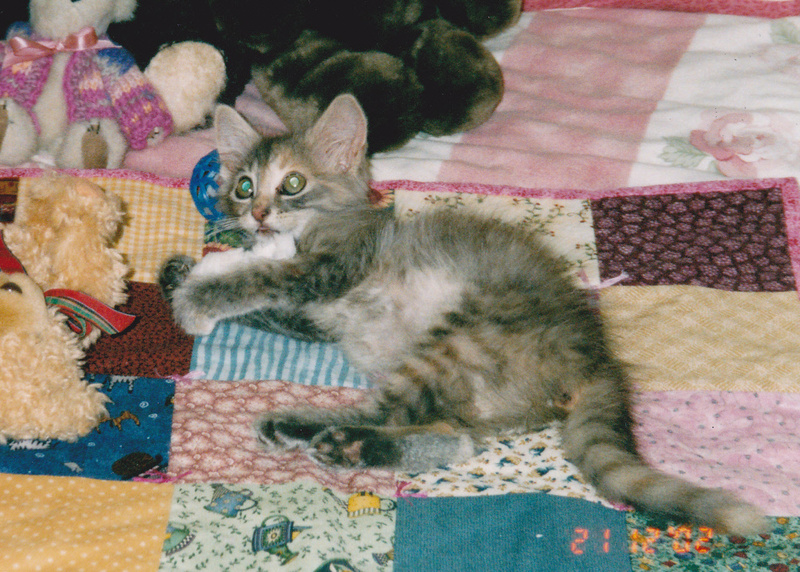 I had made her a quilt, and put it and some toys on my bed. She immediately started playing with a small white mouse, which you can just make out in the photo. After this photo was taken, she had an appointment at the vet to be microchipped and vaccinated, then round to meet my Mum and Dad...took it all in her stride.